For more information about this program, email Amber Nabors at Amber.Nabors@MyFWC.com. For more information about the Fishing League Worldwide Foundation, go to www.flwfishing.com. For information about The Bass Federation’s Student Angler Federation, go towww.highschoolfishing.org. 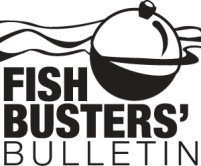 Information on the Recreational Boating & Fishing Foundation is available at www.takemefishing.org, select “Corporate” at the bottom of the page.